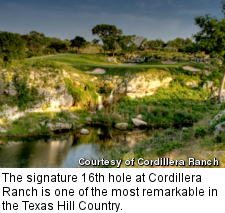 BOERNE, Texas -- You don't have to browse Texas golf course real estate long before coming across an image of the stunning 16th hole on the Cordillera Ranch golf course, a par 3 with a green perched atop cascading waterfalls and encircled by rock outcroppings. It's as glamorous a hole as you'll find in the Hill Country. But a deeper look at Cordillera Ranch, a 7,800-acre development about 30 miles north of San Antonio, reveals an ambitious yet disciplined development that has emerged as one of the Hill Country's most coveted. 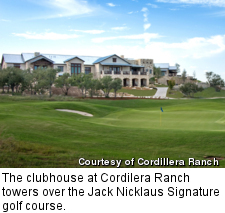 Cordillera Ranch debuted in 1997 under the DH Investment Company, and the Jack Nicklaus Signature golf course didn't open until 2006. In the ensuing years -- as golf course and real estate developments all across the U.S. foreclosed or changed ownership, or golf courses had to go public -- this property kept the same ownership. And all its club facilities are built and, perhaps most important, paid for. The stability of the property and its clubs provides members and residents with peace of mind. Located in Boerne, a charming town on the northern outskirts of the San Antonio loop, this place has an almost contagious way of dropping the heart rate. There are many appeals to the town of Boerne that go well beyond what's offered within Cordillera Ranch. Just a 25-mile straight shot on I-10 gets you to the I-410 loop of northwest San Antonio, yet Boerne itself feels anything but "big city." The small town center consists of a handful of blocks of shops and restaurants, highlighted by shady Cibolo Creek, which runs along River Street and can be a festive spot on a weekend afternoon. For families, the Boerne Independent School District is one of the best in the state. The mix of solitude and convenience to the city has helped give Cordillera Ranch a diverse mix of residents, from retirees to working families and second-home owners who live in parts of Texas where the views ain't like 'round here. And, if you didn't already know, real estate throughout central Texas has been on a tear. 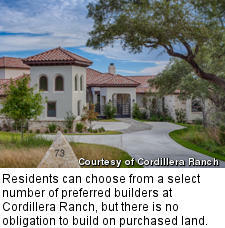 In May 2014, Cordillera Ranch reported 50 homes currently under construction and another 28 under architectural review. To accommodate the growing number of members in its original club that is nearing capacity, more golf is beginning to be discussed, from adding a third nine to a brand new 18 holes. The Jack Nicklaus Signature design is one of my favorites by the firm, and has bolstered its reputation in the state as well. The Dallas Morning News recently named it the fourth-best course in Texas for 2014 (up a spot from 2013). Big hitters like resident and PGA Tour star Jimmy Walker will take the course on from the 7,464-yard tips. And while there are some forced carries and plenty of sand, playing corridors are mostly wide and pleasant. Hole variety is the real star here, though. As dramatic as the 16th is, the par 5s are all superb, particularly the dog-legging sixth that can play as long as 613 yards, or the 612-yard 12th that plays tightly through a shady corridor lined by a creek and rocky slope. From an agronomy standpoint, the course sports a relatively new Zeon Zoysia turf that weathers the oft-unpredictable central Texas climate quite well. The turf will also be used on the course that hosts the 2016 Olympics in Brazil. The closest any real estate will get to the golf course is the remains of an old ranch house, dating back to 1872, lying off to the right of the par-5 ninth tee box. From here, golfers are also in view of the main clubhouse village overlooking the course, which makes for a fine spot for an evening drink or cigar outside by the fire pit. Set on one of the property's highest points, the outdoor patio serves up long hill country views in each direction. You don't have to be a homeowner to be a member of the seven clubs at Cordillera Ranch, which also includes Rod & Gun, Equestrian and River Club that makes use of the property's Guadalupe River frontage. Property buyers have no obligation or timetable to build on land and can choose their own builder, though there is a list of five preferred builders. Lots, about half of 2,572 have been sold to date, start at $80,000 and are about a quarter acre. Home prices start around $500,000. Those who want more space can buy up to 10 acres. The average home price as reported by Cordillera Ranch in 2013 was $930,000. 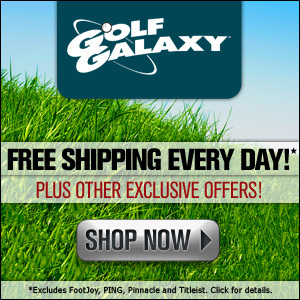 Brandon Tucker is the Managing Editor for Golf Advisor. To date, his golf travels have taken him to over two dozen countries and over 500 golf courses worldwide. While he's played some of the most prestigious courses in the world, Tucker's favorite way to play the game is on a great muni in under three hours. Follow Brandon on Twitter at @BrandonTucker.